Installing Gentoo in a chroot alongside Android is easy, so if you already use Gentoo and have an Android phone, there’s really no reason why you shouldn’t do it. With a ginormous phablet like the Samsung Galaxy Note 2 and a bluetooth keyboard, you can get a super-mobile full Linux workstation everywhere you go. Prerequisites first: you’ll need a rooted device. You’ll also need a terminal with busybox. 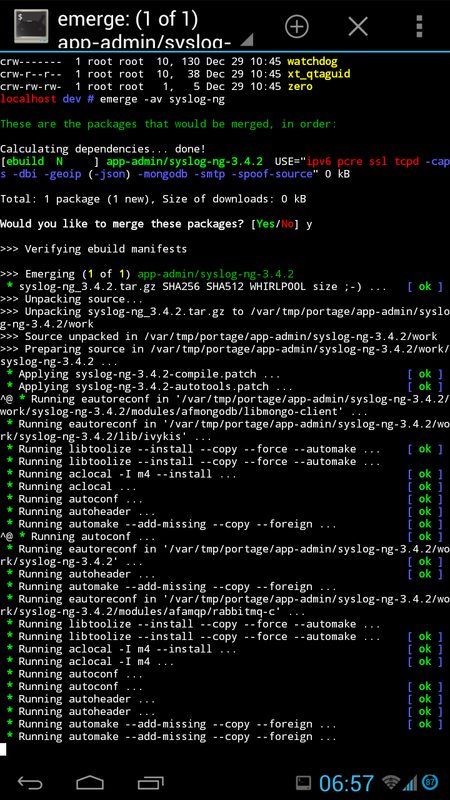 I recommend Android Terminal Emulator and busybox by stericson. I would also recommend installing Hacker’s Keyboard, which gives you a full keylayout. You will need to be root to install, so su - in your terminal emulator of choice. Similarly, remount Android into read-write so that you can create the necessary files for Gentoo with mount -o remount,rw /. Finally, remember to install in /data/gentoo instead of /mnt/gentoo so to not conflict with Android’s mounting preferences. Since we’re only installing a chroot and not booting alongside android, you can safely skip configuring the kernel, configuring fstab, configuring networking, and setting up the bootloader. It will be a good idea to set your main user to the same UID as the Android normal user. Also, running id -a in android will show you that your user is part of various reserved Android groups. To fix issues such as your Gentoo user’s (in)ability to go online or use bluetooth, just create these groups in your Gentoo install with matching GIDs, and add your user to these groups. Here’s a list of Android UIDS and GIDS. For example, I needed to add my Gentoo user to groups with GIDs 3003 and 3004 before it could successfully go online. 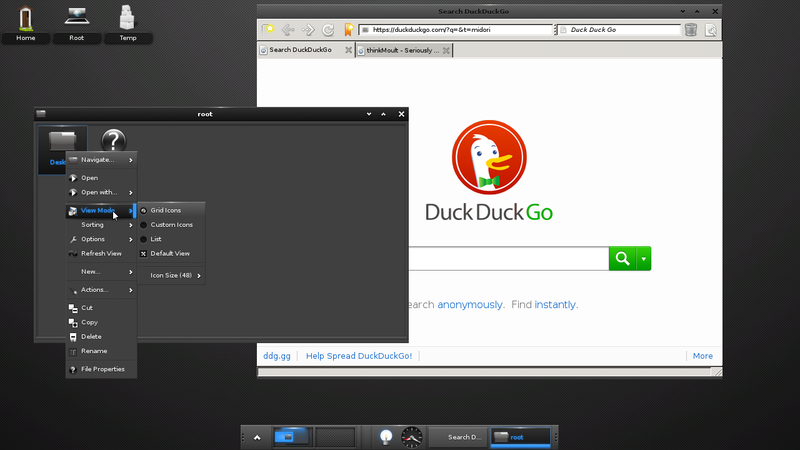 If you want an X server, VNC will do the trick. I recommend android-vnc-viewer 24-bit colour seems to work, and perhaps change the input method to touchpad rather than touchscreen so it’s relatively usable. Finally, with no fan and big heatsink on a mobile phone, you might find yourself running hot. So even though monsters like the Galaxy Note 2 have 4 cores, I recommend sticking it to MAKEOPT="-j2"